HELSINKI – As we approached the Southern Finnish shore and once I first caught a glimpse of the Senate Square church, tears began running down my cheeks. I have been travelling all summer long and despite my having seen breathtaking scenery throughout 10 different countries, it was Finland that got me all choked up… ok, fine, I cried… but just a little! It was a beautiful sight, the clouds were parted and the sun was hitting the water for the first time since I had left the foggy shores of Tallinn two hours prior. 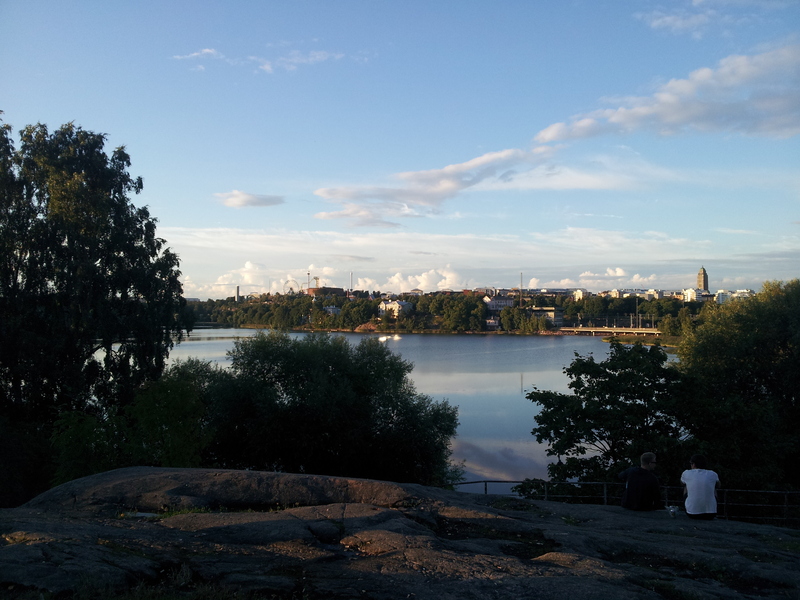 But to cry over such a sight still was slightly (greatly) exaggerated and I realised rather quickly that what had moved me in that moment was that I had just fulfilled a childhood dream of going to Finland. It’s quite difficult to explain to someone who was not in Winnipeg during the 1990s what the Jets meant to the city. Beyond the age-old and, in my opinion, unfounded (yet self-inflicted) clichés of our city being boring, ugly and bitterly cold, it is true that Winnipeg had been suffering for quite a few years. 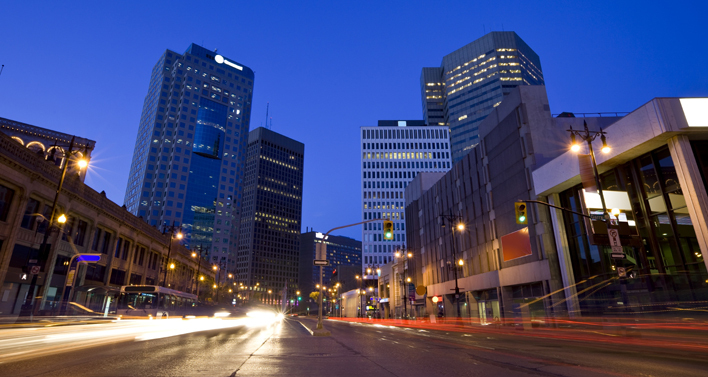 The economy was not so favourable to us in those days and Winnipeg is not an old-money metropolis, although it had once been the third largest city in Canada. Hockey was a diversion for us, yes, but it was also more than that. Much like kids in the schoolyard might overcompensate on their skills to mask their faults, we tied our Jets to our collective identity. We had a team in the biggest hockey league in the world and that brought along some sort of reassurance as well as recognition on the highest and most important stage that we weren’t all that backwards after all. Unfortunately, throughout the 1980s, the Jets were a rather poor team, seldom making the playoffs and, when they did make it, they lost in colossal form. And so times were tough. And then in came Teemu, aka God in Rémi’s Bible of Hockey. This young, fresh, good-looking Finnish kid walked into Winnipeg and swept the entire city off its feet. And the funny thing is that it wasn’t because of His on-ice success. Ok, fine, I think 76 goals in a rookie season would have made even Richard Simmonds on skates a fan favourite, but this guy was a rock star in Winnipeg before He ever even hit the ice for the first time. It was His kindness, His generosity and, most of all, His humbleness and modesty that won our hearts. Teemu was a living representation of what Winnipeggers should really be best known for and they recognised it and loved Him for it. And we, the kids of that generation, who best knew the Jets with #13 on the right-wing, looked up to this shy guy who came from some faraway land in absolute awe as our parents, uncles, aunts, school teachers and even strangers from every corner of society were head-over-heels and completely gaga over Him. 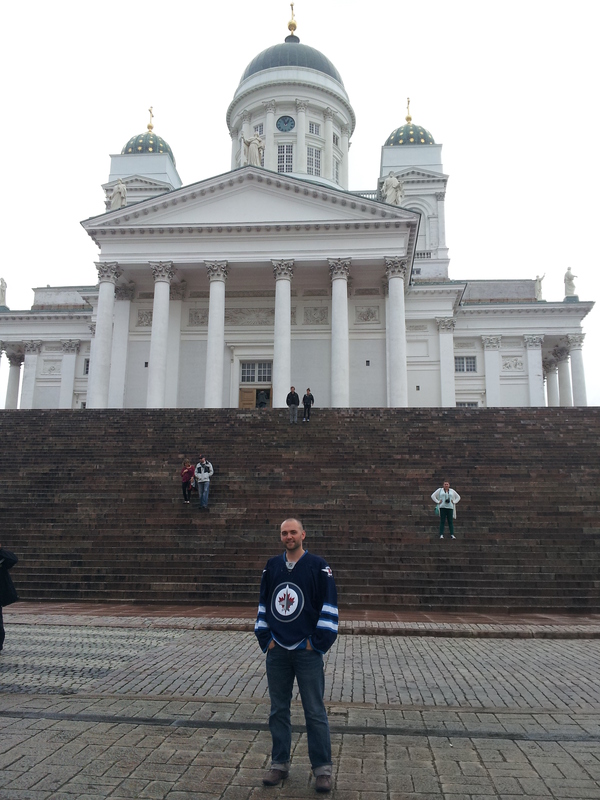 As Finland grew to recognise Selänne as one of their national heroes and came to cheer for the Jets, and so our love affair with Finland began. The Winnipeg Arena hosted Finland’s first ever televised NHL game and the club had given everyone in the crowd a Finnish flag, which, for a kid, was quite impressive. 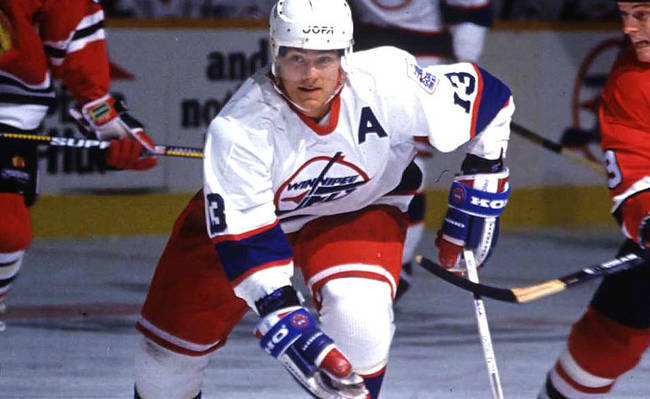 In September 1994, the Jets also played a 2-game series in Finland, given the Jets also had a big name in Teppo Numminen and throughout the mid-1990s, it was not rare to see Winnipeggers cheer for Finns in other sports (Mika Häkkinen in the Formula 1, for example) and in the Olympic games. 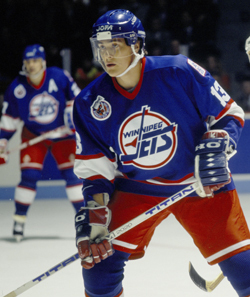 But in 1995, Teemu was traded and the Jets followed soon thereafter – you all know the story – and a major part of our childhood was taken away from us. The city collectively licked its wounds as it had lost its seat among the bigs while other small cities like Edmonton, Buffalo and even Calgary (at the time) were still there. It was a bitter pill to swallow. From the moment Truth North Sports and Entertainment announced the return of hockey in Winnipeg, barely 3 sentences could be spoken without someone wishfully thinking that maybe, just maybe, He might come back to us for one last year just to give us all some closure over the way it all had ended. It would have been magical, just like His return to Winnipeg in December of 2011 proved to be. Alas, a few days ago, in true Selänne fashion, the 43-year-old did the right thing and announced that he will be rewarding the loyal Duck fans for their many years of support on the golden beaches of California. Despite my knowing all along that He would do so, as I read the news on the cover of a Helsinki English-language newspaper, much unlike when I first arrived here, I longed for the part of my childhood that I had lost and was left to grieve for the days when the Finnish Flash represented what was and still is best of my hometown. Follow Remi on twitter here. DO it! This entry was posted in Anaheim Ducks, Winnipeg Jets and tagged Anaheim Ducks, Dateline: Helsinki, Team Teemu, Teemu Selanne, Winnipeg Jets. Bookmark the permalink.